Hi, I'm Mark, photographer and founder of Shotkit. If you're interested in the gear behind the photo as much as capturing the photo itself, then you're in the right place! When I first got into photography, I was eager to find out what camera gear my favourite photographers were using. The problem was, I couldn't find any good information online about what camera gear photographers were using. 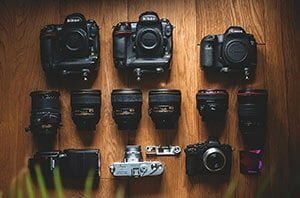 I knew that I probably wasn't the only photography enthusiast who wanted to take a peek into other photographers' camera bags. In 2014 I created Shotkit, to reveal the camera gear of the world's best photographers and share their work with you. A few years later we welcome over 10,000 visits each day from all over the world and have become the go-to site to peek inside photographers' camera bags. I'm proud of what Shotkit has become, and am happy you have come to join us here. Most new visitors to Shotkit come with an interest to take a peek into other photographers' camera bags, but there's also a ton of great information and inspiration in the blog if you dig deep enough. How to build a photography site - every photographer should have their own website. This guide shows you how in just 3 steps. Cheap Camera Gear - it doesn't cost much to get hold of some awesome camera gear. The Best Memory Cards - yes it's a boring topic, but it's a really important one! Fuji X Mount Lenses - with mirrorless cameras fast gaining popularity, this is one of the most popular blog posts on Shotkit. Best Nikon Lenses - gold ring shooters rejoice! Best Canon Lenses - red ring shooters rejoice! Free photography books - a list of over 50 great photography ebooks for you to download for free. How to Book More Weddings - one for all you guys who love wedding photography. The Best Cameras under $200 - yes, they do exist! How to Sell your Photos - make some money on the side. Traveling with your camera? Take note of these travel tips. The Best Travel Tripods - traveling with your tripod? Make sure it's one of these. Mirrorless vs dSLR - let's put the debate to rest with this ultimate guide. The Best Rolling Camera Bags - camera bag too heavy? You need to get rolling! This post on the Best Mirrorless Cameras - like it or not, mirrorless cameras are taking over! The best cameras under $500 - not all the camera gear on Shotkit is aimed at pros. Here's a list of great cameras that won't break the bank. Win camera gear - there's a great Shotkit giveaway once a month, and entry is always free. Discover more camera gear - the Shotkit Book features photographers not shown on Shotkit, plus 3 bonus videos. It's our most popular product - highly recommended! Improve your Lightroom skills - every photographer should be using Lightroom. 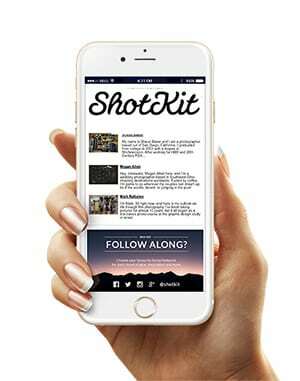 This popular Shotkit ebook will teach you some great tips and tricks. 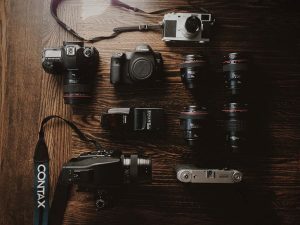 The most popular camera gear for wedding photographers - even if you don't shoot weddings, this post is an interesting look on what camera gear is being used by pros around the world. 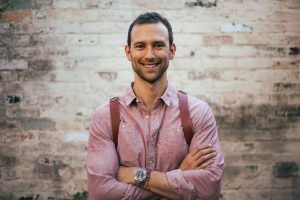 How to start an online business - the recommended tools I use to run Shotkit and my own photography business. Gifts for photographers - are they still called gifts if you buy them for yourself?! A big list of unorthodox but useful 'gifts'. You'll get immediate access to a hidden section of the site, packed full of photography and camera gear related goodies. You should also click here to join the Shotkit Community on Facebook where we discuss photography and gear. I hope you'll find Shotkit a useful resource for your photography and look forward to hearing from you.